Under the Newton’s Place museum in Newton Abbot, remains of a ‘ substantial ‘ medieval building were discovered. Workers started to dig a lift shaft yesterday when a previously hidden internal floor, possibly 500-year – old or older, began to emerge. Then the remains of whitewashed and plastered stone walls up to 70cm thick started to appear. One contained what is believed to be a bay window or door threshold. 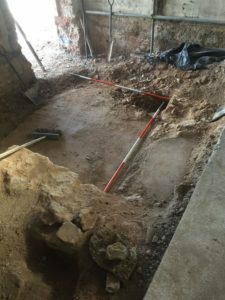 Archaeologists Stuart Randall and Silvia Criado were called in and the cobbled surface of a long-forgotten passageway or courtyard was unveiled. “We have certainly got a building here that’s older than the church,’ said Stuart.”The cobbled surface seems to be contemporary with one of the walls which the later church seems to have cut through. “It would have been quite common [to have walls this thick] if this was a public building like a church or something similar, it is certainly a substantial building of some kind, it is certainly of significance. “It raises lots of questions which we can now dive into the historical and archaeological records to try and find a bit more about. “All the remains had been damaged by the construction of St Leonard’s in the 1830s. Although enough evidence survives to show the building appears to have projected further into the street than the former church and was on the same alignment as the centuries-old Turk’s Head pub which sat next door until demolition in 2010. The thickness of the walls suggests it was a public place rather than a private residence. 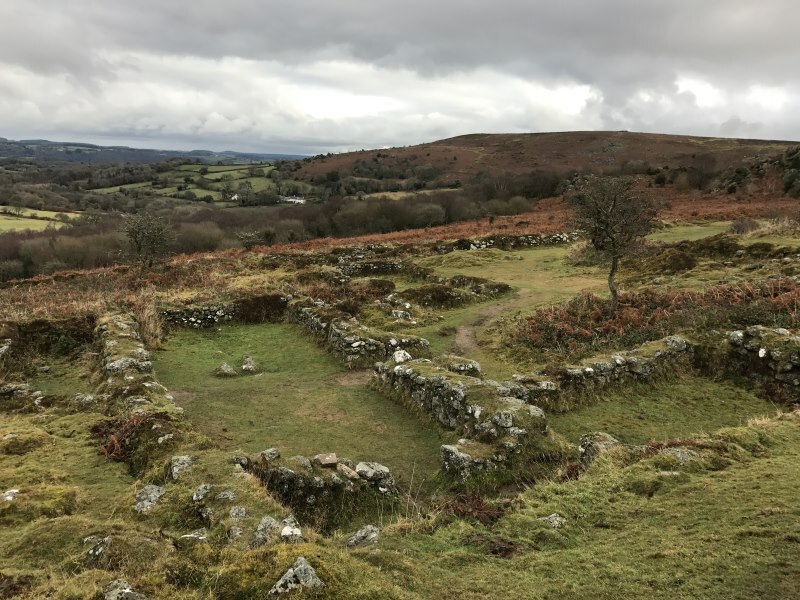 The site’s location at the heart of medieval Newton Abbot means the latest discoveries will help develop a better understanding of the town’s development since the granting of a Royal Charter in 1269. 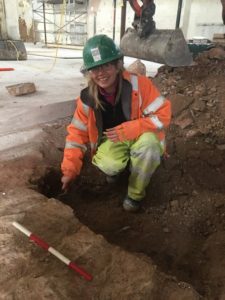 Val Harrison, who officially observed the shaft-dig and alerted the authorities when the archaeology emerged, said: “It is exciting to think what other things may yet lie underneath. “Archaeologists will record the finds before allowing their monitored removal and progression of the construction project. The finds are not expected to result in any delay in the build programme.